News by Lindsay M, Ginny W, and Matt S.
We’d also like to take this time to wish all our Canadian readers a happy Thanksgiving. And regardless of where you lay your head at night, you're all part of the DDnet family – we are so thankful for every single one of you! Last year’s Yomawari was a real surprise. It looked simple and childlike, and not horrifying at all. Then we started playing, and within the opening cut scene (you have to see it to believe it), we completely 180-ed on that idea. And the sequel, Yomawari: Midnight Shadows, looks like it will be just as terrifying, based on this new trailer. The two-minute gameplay trailer shows several changes from the way the original played. Most notably, in that game you played as single character, but this time around you have two protagonists that have been separated, and the goal is to reunite them and help them to survive the night and its terrors together. You won’t have to wait long to play this one; it releases on PlayStation 4, PlayStation Vita and Steam on October 24 (North America) and October 27 (Europe). That’s right, it’s getting a PS4 release too, so console fans will be able to terrify themselves on the big screen this Halloween. Hand of Fate has been one of the most prominent and interesting Australian games released in recent years. We’ve known that a sequel has been in the works for a while now; indeed we played it at PAX last year and was amazed by how much of a jump forward it was. And now, finally, we have a proper release date for the game; November 7. The new trailer above also shows off just how stylish the game’s combat system is now. For people that didn’t play the original, it was a mix of card and board game, Batman-style counter-heavy combat, and choose-your-own-adventure style storytelling. In addition to the game itself being bigger and better, Hand of Fate 2 will also support 4K HD graphics on Microsoft’s new Xbox One X. No mention on whether there’s any advantage for playing on PlayStation 4 Pro, but the game does also get a PS4 and PC release. Goooo Aussies! Critically acclaimed Oxenfree, from the good people at Night School Studio, has just made its way to the Switch. Hot on the heels originally of hits like Twin Peaks’ revival and Stranger Things, its creepy-cool, coming of age aesthetic won over tons of fans and its unique approach to decision-making put you in the driver’s seat with winning dialogue and nostalgia-tinged callbacks to the 90s. The Switch is no stranger to indie games and adventure games incorporating puzzling, but this game is something of a different breed. There’s mystery, mayhem, the supernatural, and the inexplicable. 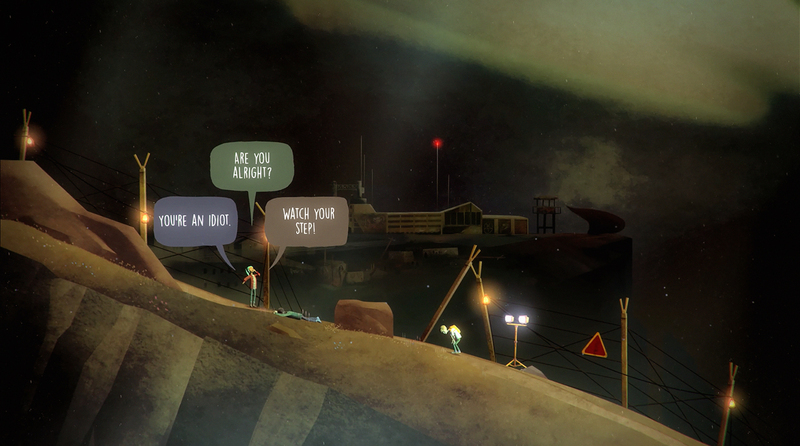 While similar games may offer a more traditional approach to finding out what’s wrong with the world, Oxenfree makes you live it, repeatedly. It’s only recently made its home on Nintendo’s new powerhouse console, but plenty of fans who have already experienced the product have snapped it up again because of its replayability. The core of the narrative is based on interpersonal relationships and being part of something bigger than you are. Sure, that existentialism might alienate those who think an adventure game should be like Uncharted, but Oxenfree’s unsettling beauty makes it a perfect fit for the spooky season. If you haven’t already checked it out, I don’t know what you’re waiting for. Ah, the Nintendo 3DS. It is the Little Handheld That Could, as strong Switch sales are yet to cause a lack of content on the year-old console that’s received several updates. It’s now Harvest Moon: The Tale of Two Towns. that is receiving an updated release, with the “+” version of the game coming to the 3DS in Japan on December 14 (and hopefully in the West soon later, if the Nintendo Gods are listening). The above is the first trailer for the game, giving us our first glimpse at the differences from the original title. The player is now given a choice of likes at the beginning of the game; for example, “I like animals” or “I like fishing.” The game, developed by Marvelous, promises updates controls and StreetPass support. Bokujou Monogatari: Futago no Mura+ (translated, Harvest Moon: The Tale of Two Towns+) is an updated version of the Nintendo 3DS title, originally released in 2010. The Harvest Moon title has a complicated recent history, with the original series now being published by XSeed Games under “Story of Seasons.” As of 2014, Natsume’s “Harvest Moon” is its own series.